Another hospital in Indiana has suffered a ransomware attack that affected some of its servers and prevented files from loading correctly. Bitdefender reasons that modification is likely the result of “I’m Sorry,” a type of ransomware discovered in 2017. I’m Sorry appends all files it encrypts on an infected machine with “imsorry.” It then drops a .txt file containing instructions for how the user can pay the ransom in each folder on the infected computer that contains encrypted files. As a result of the attack, the Berne Outpatient Clinic and three physicians were unable to use the hospital’s network to access patient history or schedule appointments. This unavailability affected between 60 and 80 patients. The attack occurred on the same day that Hancock Regional Hospital of Greenfield, Indiana suffered a ransomware attack. That incident ultimately prompted the hospital to pay $50,000 in ransom to those responsible for the infection. These assaults demonstrate that the risk of a ransomware attack is growing for hospitals. With that said, healthcare organizations more generally need to strengthen their network security measures and take extra care in maintaining the security of their electronic medical record systems. 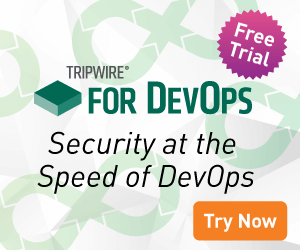 To learn how Tripwire can help with this latter objective, click here.